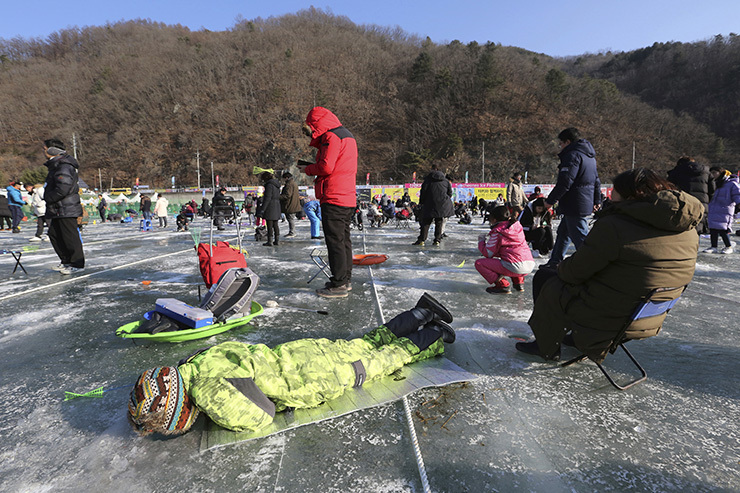 South Korea's annual ice fishing festival drew massive crowds on Saturday (January 5) who braved below freezing temperatures to catch trout in a frozen lake. 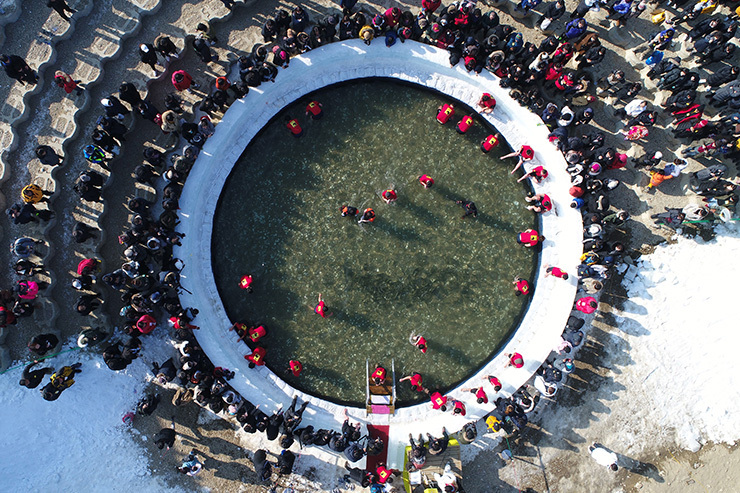 About 141,500 people attended the first day of the festival, according to organisers, where they spent time on the frozen lake to catch fish through a small hole dug into thick ice. 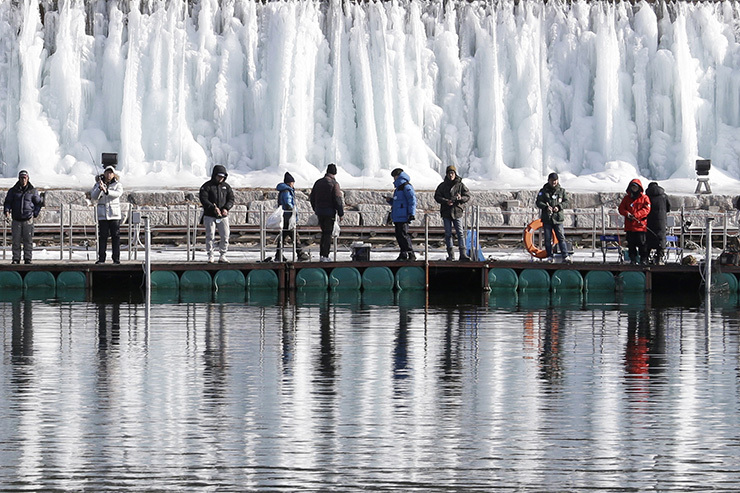 Some participants jumped into a pool of freezing water to catch the trouts with their bare hands. In the end, participants have their catch cooked for them to eat. The "Sancheoneo festival", scheduled to last until January 27, is named after a species of mountain trout native to Korea that lives in the surrounding lakes and creeks in Hwacheon, Gangwon province, about 120 kilometres (75 miles) north of the capital Seoul.